Mi hija Alejandra es fanática de todo lo relacionado con Pokemon. Lo es tanto que, cuando estuvimos en Tokio por primera vez, uno de los primeros lugares a visitar fue el Pokemon Center Mega, la tienda temática de este juego más grande de Tokio y del mundo. No soy fan de Pokemon, de hecho me aburre un poco el tema, pero debo decir que el estar en ese sitio rodeado por tantos fans provenientes de diferentes países, me hizo introducirme por un momento en ese mundo y aprendí que en este juego hay que batallar con otras personas llamadas “entrenadores”; y para tener mayores posibilidades de éxito uno debe tener sus mejores Pokemon a la mano. Pues bien, así como en ese mundo ficticio uno debe tener sus mejores exponentes para ganar, en mi vida profesional yo también debo tener mis ases bajo la manga que me permitan ser mejor en mi trabajo. Si me has leído anteriormente, sabrás que me dedico al control de proyectos, principalmente en el mundo de la ingeniería y construcción. 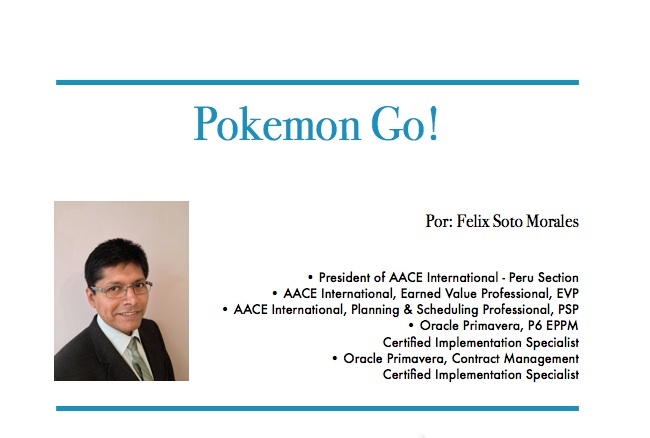 Así que ¿cuáles son los “Pokemon” con los que me voy a enfrentar al mundo del control de proyectos en el futuro? Por supuesto que ya he decidido mis armas, aquellas que probablemente me hagan ser un mejor consultor y por qué no, incluso hasta ser mejor remunerado. 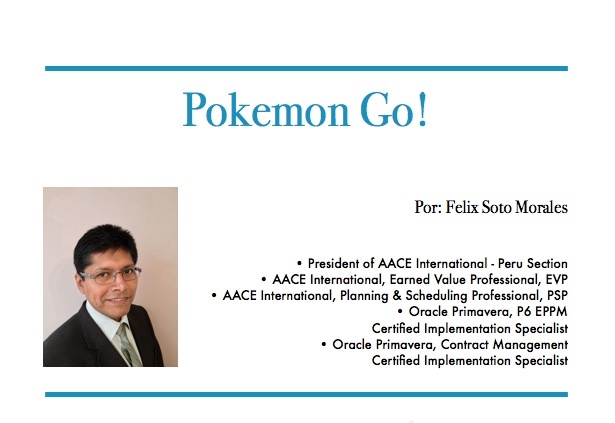 1) Project Controls Expo: Es una convención de “entrenadores Pokemon” que se viene dando en Londres desde el 2011 y sirve para reunir a muchos gurús en materia de control de proyectos y también a los mejores softwares del rubro. Este año se llevará a cabo el 16 de Noviembre en el estadio del conocido club de fútbol inglés Arsenal. Hace tiempo que vengo deseando ir y después de cinco años de evolución, esta vez estaré ahí para nutrirme de invaluable conocimiento. Creo que esta Expo vale la pena para capacitarme, enterarme qué hace el otro lado del mundo con respecto al control de sus proyectos y mantenerme a la vanguardia. 2) Asta Powerproject: La casa de este Pokemon también es Inglaterra, sin embargo el software ya se ha extendido por toda Asia, Europa y recientemente ha sido visto en Norteamérica. Asta Powerproject es un software que cumple con ser tan versátil como MS Project, pero puede cumplir con las exigencias que trae Primavera P6. Seguro que en los años venideros llegará a Sudamérica. Si a eso le agregamos que el software también puede hacer Building Information Modeling, comúnmente llamado BIM, así como la programación de trenes de trabajo de una manera exageradamente fácil, entonces sólo hay que esperar un poco para tenerlo en nuestras manos. 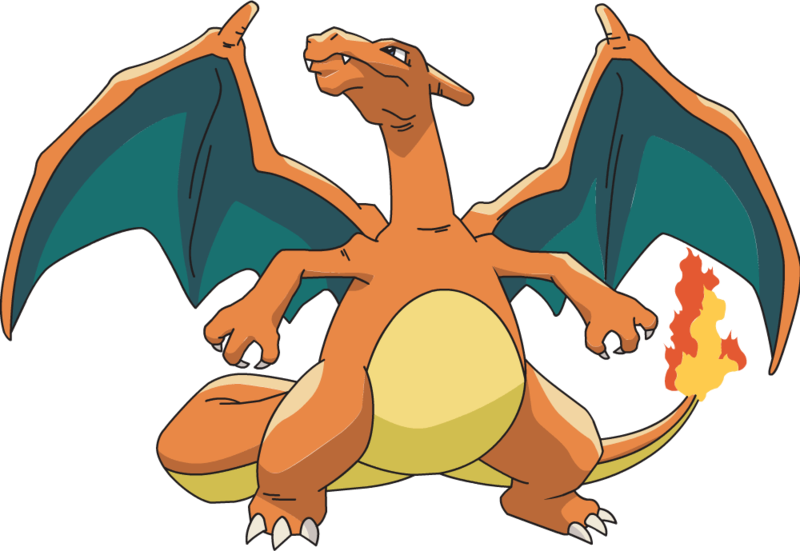 3) Safran Risk: Este Pokemon es mi “exterminador”, algo así como un “Charizard” o un “Mewtwo”, dos de los Pokemon más fuertes que pueda recordar y con los que todos quieren pelear por su gran poder. Safran Risk viene de Noruega y pretende ser el nuevo estándar en cuanto a gestión cuantitativa de riesgos para cronogramas. En otras palabras, viene a exterminar la supremacía de Primavera Risk Analysis. ¿Cómo lo piensa hacer? Nada más y nada menos que con su simpleza, sólo tienes que seguir los pasos uno a uno para hacer tu análisis cuantitativo de riesgos. Dicen por ahí que no necesita de entrenamiento debido a su sencillez. Ya no se necesitará expertos en softwares tan complejos. Bien, esos son mis Pokemon para este año y en los próximos posts trataré de describirlos con mayor detalle. Y ¿cuáles son los tuyos? … atrápalos ya! My daughter Alejandra is a huge Pokemon fan. Such she is, that when we were in Tokyo for the very first time, one of the first places to visit was the Pokemon Center Mega, the biggest themed store about this game in Tokyo and the whole world. 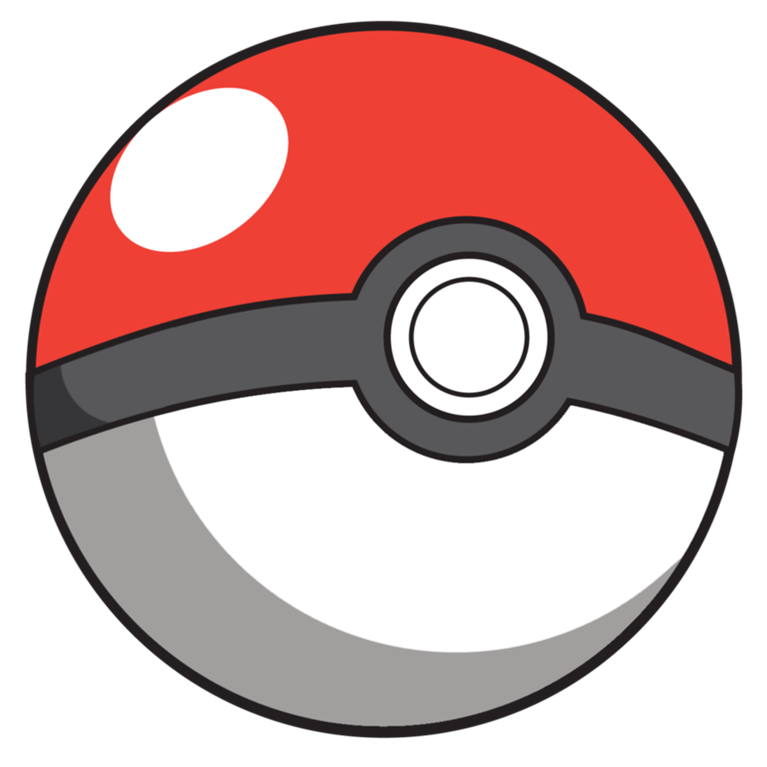 I am not a Pokemon fan, actually this subject bores me a lot. Nevertheless, I have to say that being surrounded by many fans from many different countries, made me introduce myself —for a moment— into that world, and I learned in this game you must fight with other people called “trainers” and to have greater chances of success you must have your best Pokemon on hand. As well as in that fictional world you must have your best exponents in order to win, in my professional life I also need to have my aces under the sleeve, to allow me to be better at my job. If you had read my posts before, you should know that I am focused in project control, mainly in engineering and construction. So, which “Pokemon” am I going to face the project control world with? Of course I have decided already my weapons, those that probably makes me become a better consultant and why not, even better paid! 1) Project Control Expo: It’s a convention of “Pokemon trainers” taking place in London since 2011. Its purpose is to bring together many gurus on project controls and also the best software used into this field. This year it will be held on November 16, at the famous soccer club stadium Arsenal. It is been a long time since I wanted to go and after five years of growth, I will be there this time to nourish myself with invaluable knowledge. I think this Expo is worth to train, learn whatever the other side of the world is making regarding project controls and stay at the forefront. 2) Asta Powerproject: This Pokemon’s home is also England. However, the software has already spread throughout Asia, Europe and has recently been seen in North America. Asta Powerproject is a software as versatile as MS Project, but complies every requirements Primavera P6 brings. I am positive that in the years to come it will arrive to South America. And if we say the software can also make Building Information Modeling, as well as work trains programming, in an overwhelmingly easy way, then we just have to wait quite a few to hold it into our hands. 3) Safran Risk: This Poke mon is my “greatest weapon”, something like a “Charizard” or a “Mewtwo”, two of the strongest Pokemon in the original saga, which everyone wants to fight with because of their great power. Safran Risk comes from Noruega and it aims to be the new standard for schedules quantitative risk management. It comes to defeat the supremacy of Primavera Risk Analysis, so to speak. How are they going to do it? Nothing less than its simplicity. You just need to follow the steps one by one in order to do your quantitative risk analysis. You will not need more experts to work with so complex softwares. Well, those are my Pokemon for this year and in the next three posts I will describe them in more detail. Which are yours?